A rough estimate of 250 summer camps work with us here at Everything Summer Camp and it’s our pleasure to tell you about what fantastic camps they are. That’s why we shine our summer camp spotlight on those with whom we’ve developed great relatio nships. Today, our spotlight moves to North Carolina to shine on the lovely Camp Mondamin Boys Camp. Found in the mountains of Western North Carolina on the shores of the 350 acre Lake Summit. Between Camp Mondamin and their sister camp, Green Cove, they own about 800 acres of wooded campground. Mondamin as well as Green Cove campers have easy access to long trails through Pisgah National Forest and Smoky Mountain National Park. 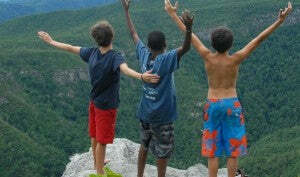 This is a camp that’s been showing boys a fantastically fun-filled summer stay for more than 95 years. 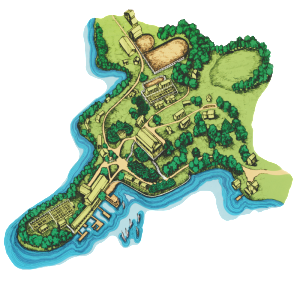 With such spectacular grounds to explore and enjoy, the activities at the camp are concentrated around the woods, the water, and other natural settings. The campers are presented with the opportunity for such awesome activities like Swimming, Canoeing, Kayaking, Sailing, Horseback Riding, Mountain Biking, Mountaineering, Tennis, Wilderness Trips, as well as a Nature Program which educates young men on the natural world all around them. Sharing a cabin, with just five or six other boys along with a cabin leader, cabins at Camp Mondamin are certainly adequate on space and comfort. Other camp facilities besides the cabins are the three tennis courts, a barn and three riding rings, a craft shop, a 60 ft. climbing tower, an indoor rifle range, and a gymnasium with an indoor climbing wall. More than just a fun time, boys are sure to return home as young men. You can look into Camp Mondamin right here if you’re interested in it for your camper. And, as always, thanks for reading.